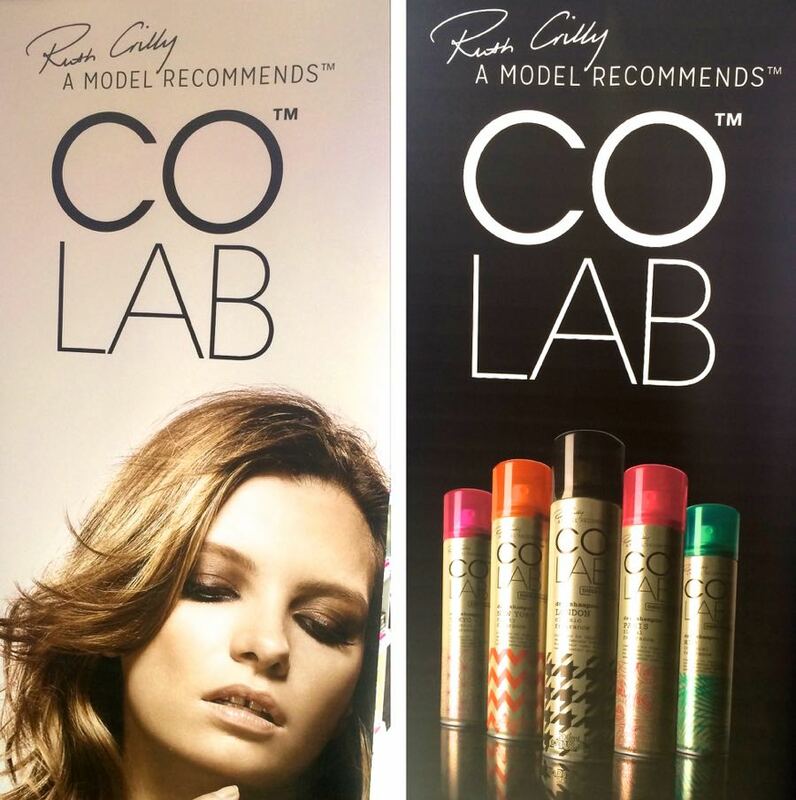 This week I was invited to celebrate the launch of Ruth Crilly’s (A Model Recommends) new collaboration with COLAB Hair. Being the biggest fan of her channel and of dry shampoo I was pretty excited. I’ve watched her for so long now that it was really lovely to meet her and find out about her new product, she is also insanely beautiful in person! 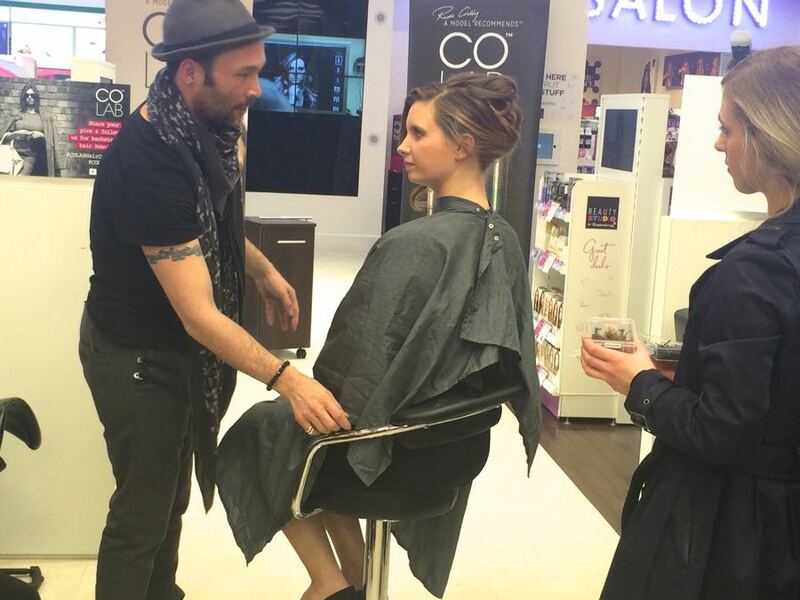 A little champagne and chat was followed by a demonstration from session stylist Darren Hau, he taught us how to use the dry shampoo to create volume and texture, as well as building a beautiful beehive look on Ruth. 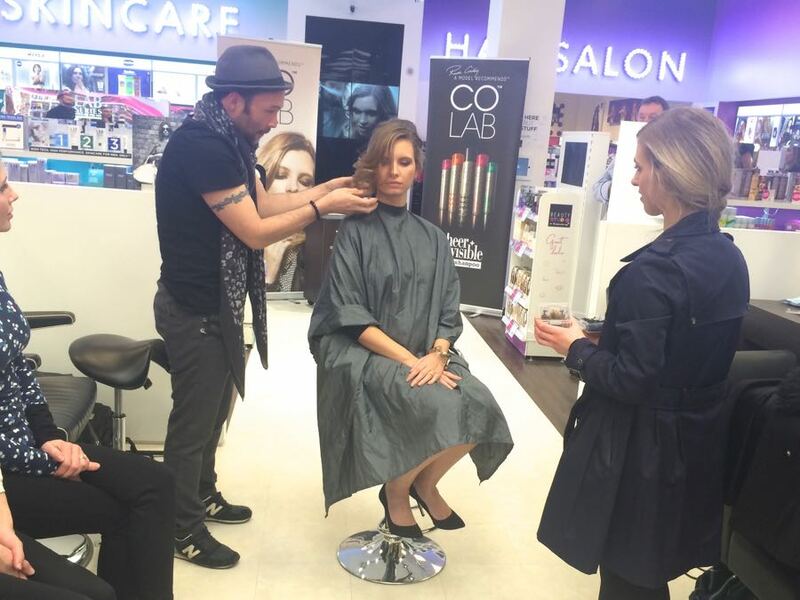 He confided in us some tricks of the trade, including a cool hack, whereby you spray the product at the roots and then straighten it, immediately, to create a backcombed effect, but without causing as much damage to your hair (useful!). 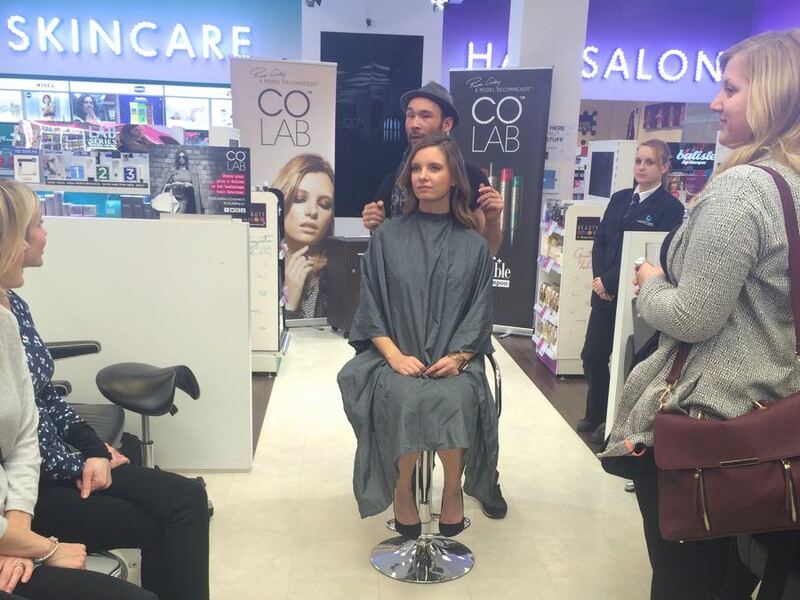 The launch was for two dry shampoo ranges, the first being a classic and the second an extreme volume version. The classic dry shampoo is sheer and invisible (bye grey dust!) and works amazingly well to soak up oil and leave the hair light and fresh. We also got to try out some samples and I loved it, my favourite being the extreme volume as it gave me a more dramatic look and really lifted at the roots. The product feels so much lighter than its competition and although the extreme volume does have a reside it blends really easily. Ruth recommended the Tokyo scent (oriental), but there are so many different ones to choose from and it combines a dry shampoo and hair perfume in one which is so useful. There’s the Rio (Tropical), Paris (Floral), New York (Fruity) and London (Classic/Musk) so theres really something for everyone and it lasts. I promise it wasn’t the champagne swaying my decision! I honestly loved it and am definitely converted.